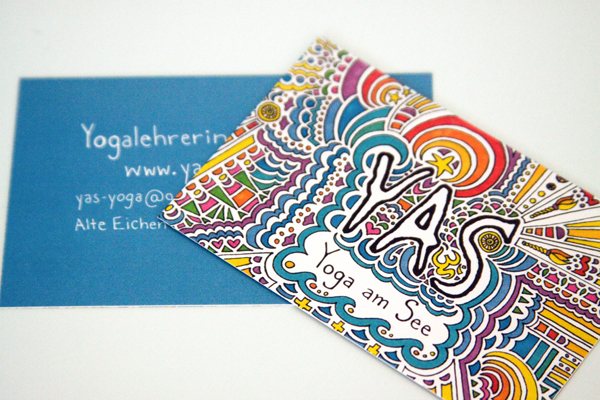 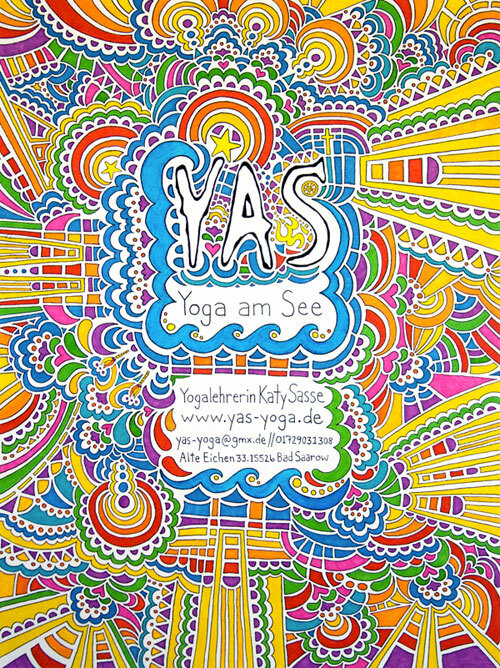 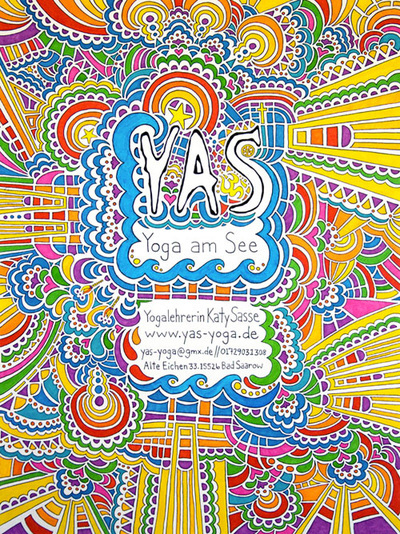 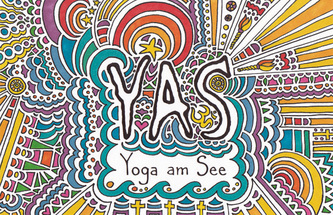 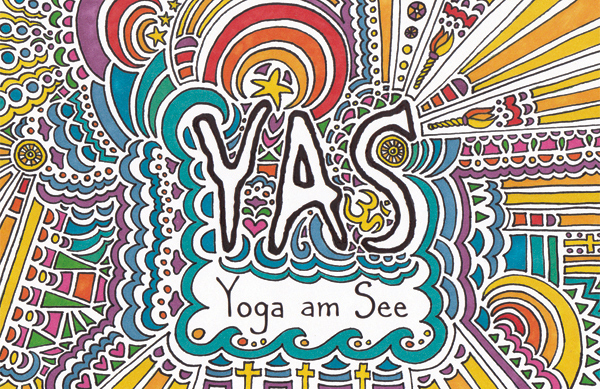 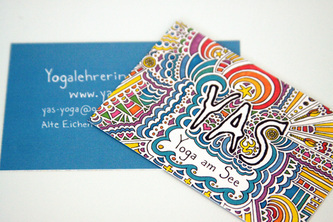 The following designs were created for a German yoga studio called Yoga am See (YAS). 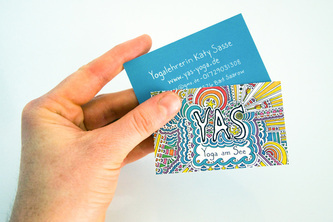 Given the pre-existing "YAS" logo, I was asked to create unique and vibrant business cards, posters, and postcards in the style of my 'Drawing Meditations'. 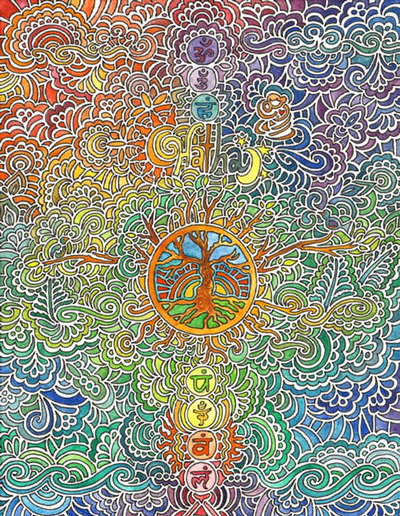 If you look closely, you can see various spiritual symbols that were asked to be incorporated within the design.